I am back and I am not sure how many days I have without blogging but I am sure tomorrow I am coming with a new review just because I need to be up to date with my posts and reviews and lately has been a little complicated because with flu, allergies and changing my work is a lor of troutble lately. And believe me that is more complicated that looks blogging everyday. But i am here blogging today and that is what matter. 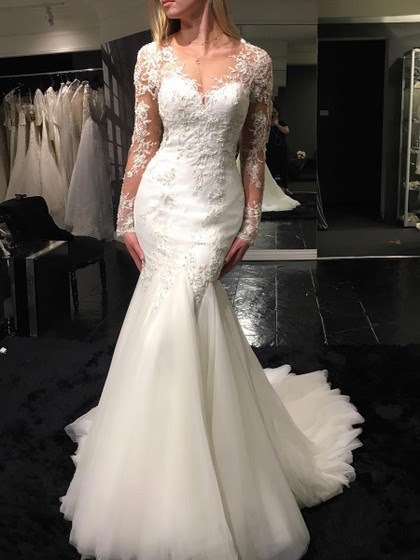 I am again with a new post about amazing dresses from one webstore that you already knows If you has some time following my posts and I am talking about MillyBridal. 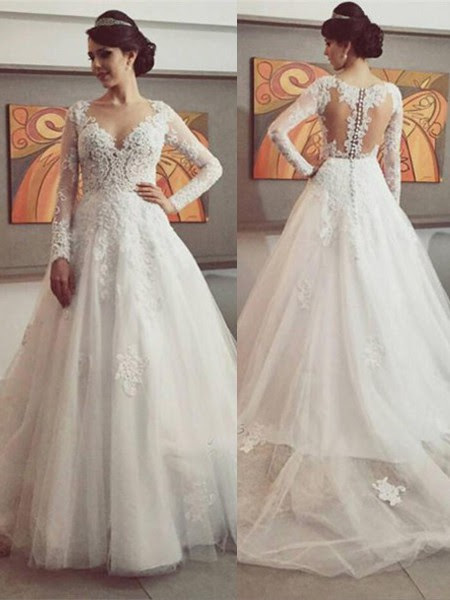 This is a great webstore If you are looking for cute and wonderful dress your wedding. Who say you can not be a wonderful fantasy bride? For that reason I picked this wonderful second dress that looks like is from a fairytail and is completely different to white with this wonderful baby blue color. The skirt looks marvelous with that opalescent between the layers of fabric I am not sure If I could use something like this because I am not with a great body figure but I could try to see. So the design is really cute. The last but not the least important dress for finish this post this wonderful long dress with sleeves that looks so elegant and is gorgeous. I love it everything about this dress I´ve thinking a lot of about wedding dresses because I have to work with posts about beautiful wedding dresses at leatb one time per month and I have thought a lot about which kind of dress I could use in a future for my wedding and i would like something with sleeves with a princess cute. I am not sure about how long could be the dress. Sincerely something with a medium length for me could be better. Like always I hope you can find this post useful. Like always let me know in the comments wich is your favorite dress between my picks. This is probably the perfect example when I say I am going to publish this review the another month and the review stays in the oven for several months before I publish the review. And sincerely I´ve published a bunch of reviews before this one. But I am here. 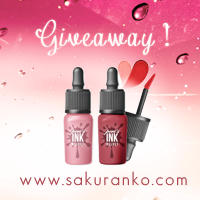 I am going to make the story short I won this lip tints by Missha in one giveaway months ago. 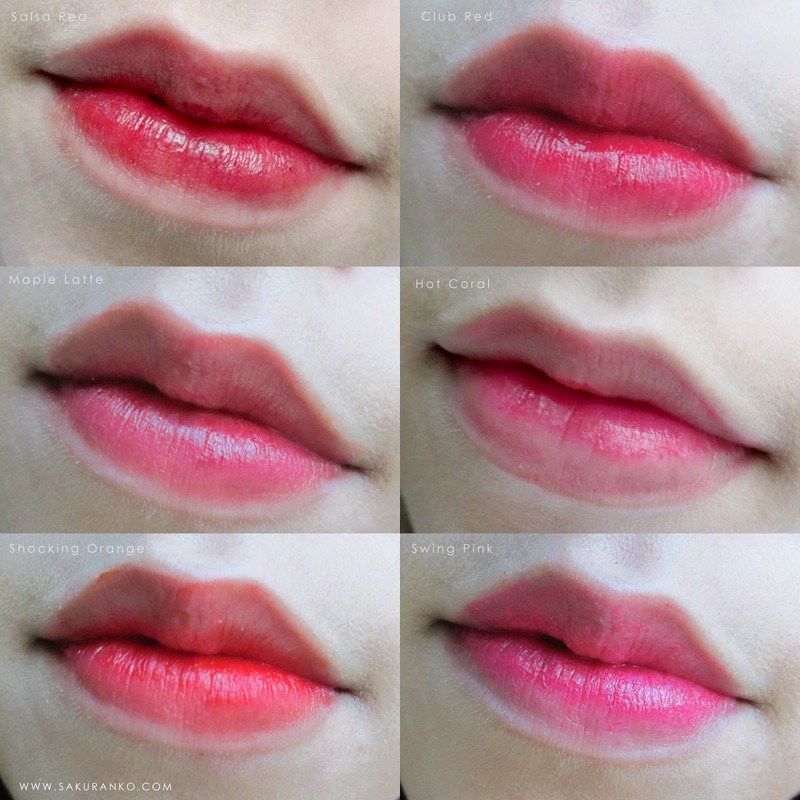 And like I´ve used lip tints by Missha in the past I was very happy to receive this collection. This review will be little different because I am going to publish the opinion low each lip tint and the reason is because I have different opinions and I must confess even when the packaging is super cute because was a collaboration with Line. I know this is not a new product but anyway you can find the Poptastic Jelly Tints in several webstores but without the collaboration. These lip tints have a price around $8 to $10 USD each one so this a good collection. Something I don´t like about this collection is that each lip tint has the name in the top of the box but is in Hangul and that is not so friendly for overseas customers.I can not deny that the packaging is super lovely. This will be a heavy pic post. This shade is calle "Salsa Red"
This is probably the most dark color but to the same time is the color that the long lasting effect is the most poor. The application for me is not easy even when the shade is pretty I don´t like that is like a little clumpsy and I dont like that. This Shade is called "Club Red"
And this shade has special mention because is very long lasting, the application is super easy and the color is a gorgeous super cherry red and is wonderful and super juicy effect. The adherence is good and the looks doesn´t looks chapped after the application that is easy. I love it the shade of this collection and sincerely I could repurchase this lip tint. By the way the all the lip tins this is that has the best gel texture. This is the second lip tint from this collection with special mention. This shade is a mix between Hot Coral and Club red and probably because I love it. the formula is more stable but is not so long lasting but the pigmentation in the lip is very consistent to difference to to others lip tints. This provides a juicy effect too and looks a little like a lip gloss. And definitely looks more heavy in the applicator than on the lips. I have a relationshio hate-love because I love that the color is super mild and cute. But I hate the fact that my looks chapped after use and specially after drink or eat something. The color is not long lasting and the pigmentation is not consistent. I guess this is a very accurate name and that is because this orange is super hot. This is another gel texture, the pigmentation is very good and consistent and is one the more long lasting effect after the club red, but the lips looks chapped and I don´t like that. The color is powerful and marvelous. But the pigmentation is not consistent. I have my doubts about if put or not this an special mention and the reason is because the color is super cute. But the texture is a little milky and clumpsy and defiitely not easy. The formula is sticky and I can´t see any gel in this li tint but the colos is super diva pink and I like that. Sincereolt I like more this lip tint after I drink water or any drink because this help me to see my death skin in my lips. I like but is a complicated relationship and sincerely Iguess probably this milky formulation is not the best in this case.  So many kawaii bunnies~ (*⌒∇⌒*) This collection is super kawaii! The time flies and we are already in the half of October and for me this is so insane. So in only two months we are again in a new year, what means that the time has weird way to work. So today i am going to share some of my picks from this great webstore called Fashiome reason because today i will be sharing with you some amazing coats and jackets from this webstore. I remember always that the first that I bought online in my life was a coat. And I still have that coat, I want use a cold day of these when I feel like is too much cold because is super warm. By the way the color of this first outwear is gorgeous for this season and the design is gorgeous. Sincerely for me is amazing to think that we are so close to another Cyber Monday but is truth. We are so close to another year to end for me is really amazing.For me a black jacket or coat is a must have even for me that where I live is like hell of hotter during all the year but some weird days are cold so If you travel to a cold place is a must have: This looks so cute and comfy. I prefer neutrals colors respect to coats and jacket like black, gray and brown because is more easy for me in that way think is another items for incoporate them to my outfit. The last but not leat importante the animal print style with this amazing leopard design. 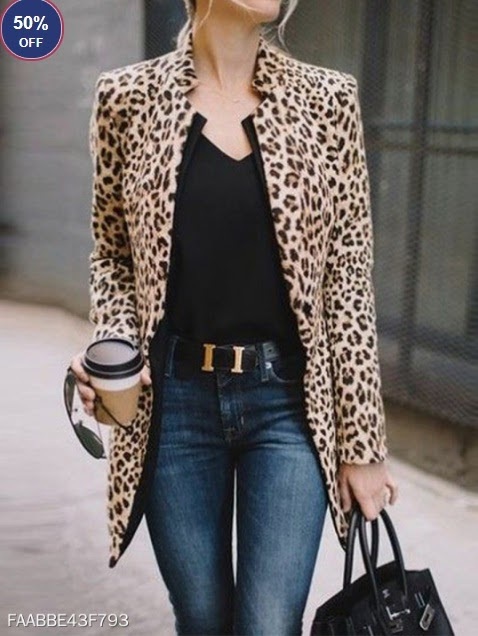 I am not too lover of animal print but I guess could look very casual and chic reason because to difference to others posts I picked that item today. The cut of this coat looks super amazing. Now like always I want to know If you knew about this webstore before, please reply me in the comments and of course which was your favorite item from my picks, because probably I finish buying something for me. I hope you enjoyed this post and could be useful to you. By te way I just want mention that i kniow I´ve been several days of but that was due health issues but I hope feel better and better. I am back with a new review about korean makeup. This time is about foundation the SAEM Eco Soul Skin Wear Foundation SPF20 PA++. If you are coming following my revious reviews about my Korean Makeup Haul III "Jolse" this my last product from that Haul. And I know has been time since I published that post about that collaboration but I ned time for see how my skin reacts to each product. Obviously I can´t see a noticeable difference to a day to other. Back to this review when I picked this foundation I had very little information so this was a little risky. The principal reason because I picked this foundation It was because the color system that used the brand for this product. They classified 5 shades between warm, cold and neutral or natural. This shade is the N1.5 that is between the cold and warm the natural or neutral one. Like always I want to mention that even when this product is sponsored all the opinions are based in my own experience with the product. By the way this will be a heavy post. A light and adhering liquid foundation that expresses the skin smooth. The foundation lightly adheres and evenly covers the skin faults. Eucalyptus leaf water and ceramide tends the skin smooth and clean. Eucalyptus Globulus Leaf Water, Cyclopentasiloxane;Decamethyl Cyclopentasiloxane, Titanium Dioxide, Cyclohexasiloxane, Glycerin, Butylene Glycol, Ethylhexyl Methoxycinnamate, Zin Oxide;CI 77947, Lauryl PEG-9 Polydimethylsiloxyethyl Dimethicone, Niacinamide, Polymethylsilsesquioxane, Dimethicone, Sodium Chloride, Phenyl Trimethicone, Pentylene Glycol, Butyl Avocadate, Propyl Gallate, Phyllostachis Bambusoides Juice, Betula Alba Juice, Chamaecyparis Obtusa Water, Ethanol, Water, Lecithin, Caprilic/Capric Triglyceride, Saccharide Isomerate, Polyglutamic Acid, Macadamia Ternifolia Seed Oil, TEA-Cocoyl Glutamate, Ceramide NP, Creatine, Cholesterol, Beta-Sitosterol, Brassica campestris (rapeseed) Sterols, PEG-5 Rapeseed Sterol, Hydrogenated Lecithin, Choleth-24, Ceteth-24, Sodium Hyaluronate, Butylated hydroxytoluene, Cetyl Phosphate, Sodium Ascorbyl Phosphate, Synthetic Fluorphlogopite, Aluminium Hydrocide;CI 77002, Cetyl PEG, Polyglyceryl-4-Isostearate, PEG Dimethicone, Poly C10-30 Alkyl Acrylate, Butylene Glycol Dicaprylate, Disteardimonium Hectorite, Hexyl Laurate, Stearic Acid, Panthenol, Dimethicone, Alumina, Silica, Sorbitan Sesquioleate, Sodium Benzoate, Hydrogen Dimethicone, Dimethiconol, Acrylates/Dimethicone Copolymer, Disodium Steaoryl glutamate, Polyhydroxystearic Acid, Propylene carbonate, Potassium Sorbate, Adenosine, Ethyl Palmitate, Isopropyl Palmitate, Isostearic Acid, Polyglyceril-3-Polyriocinoleate, Triethoxycaprylylsilane, Disodium EDTA, Ethylhexylglycerin, Phenoxyethanol, CI77491, Fragance. Eucalyptus Globulus Leaf Water: Helps to condtion the skin. Cyclopentasiloxane;Decamethyl Cyclopentasiloxane: Works like a solvent and emollient. Titanium Dioxide: Works like a UV Filter and provides white pigment so that is part of the SPF of this foundation. Cyclohexasiloxane: Solvent and helps to condition the skin. Glycerin: Helps to condtion the skin. Butylene Glycol: Solvent and helps to condition the skin. Ethylhexyl Methoxycinnamate: UV Filter and is the sunscren part of this foundation too. Zin Oxide;CI 77947: UV Absorber and coloring part because provides white pigment too. Lauryl PEG-9 Polydimethylsiloxyethyl Dimethicone: Solvent and helps to condition the skin. Has part has one stabilizer. Niacinamide: Helps to condition the skin and to the same time provides the whitening effect. Polymethylsilsesquioxane: Stabilizer and opacifying agent. Dimethicone: Emollient and helps to condition the skin. Sodium Chloride: Works like an agent to the viscosity. Phenyl Trimethicone: Silicone that helps to condtion the skin. Pentylene Glycol: Solvent and helps to condition the skin. Butyl Avocadate: Solvent and helps to condition the skin. Phyllostachis Bambusoides Juice: Skin conditioning. Betula Alba Juice: Astringent effect. Chamaecyparis Obtusa Water: Provides fragrance. Lecithin: Solvent, Emollient and helps to condition the skin. Polyglutamic Acid: Derived from an amino acid helps to condition and moisturize the skin. Macadamia Ternifolia Seed Oil: Skin conditioning. TEA-Cocoyl Glutamate: Surfactant and helps to condition the skin. Cholesterol: Emulsion Stabilizer; Skin-Conditioning Agent. Beta-Sitosterol: Emulsion Stabilizer; Skin-Conditioning Agent. Brassica campestris (rapeseed) Sterols: Skin conditioning. PEG-5 Rapeseed Sterol: Surfactant and skin conditioner. Choleth-24: Surfactant - Emulsifying Agent. Sodium Hyaluronate: Provides skin conditioning. Butylated hydroxytoluene: This works like an antioxidant. Cetyl Phosphate: Surfactant - Emulsifying Agent. Sodium Ascorbyl Phosphate: This salt works like an antioxidant. Synthetic Fluorphlogopite: Works in the control of viscosity. Aluminium Hydrocide;CI 77002: Works like colorant. Cetyl PEG: A silicone that works like skin conditioner. Polyglyceryl-4-Isostearate: Emollient and skin conditioner. Poly C10-30 Alkyl Acrylate: Stabilizer. Butylene Glycol Dicaprylate: Skin conditioning. Hexyl Laurate: Emollient and skin conditioner. Stearic Acid: Surfactant and skin conditioner. Dimethicone: Emollient and skin contioner. Disodium Steaoryl Glutamate: Skin conditioning. Propylene carbonate: Solvent and viscosity control agent. Potassium Sorbate: Fragrance and preservative. Ethyl Palmitate: Fragrance and skin conditioner. Isopropyl Palmitate: Skin conditioner and surfactant. Isostearic Acid: Surfactant and skin conditioner. Triethoxycaprylylsilane: This is a silicone that works like a binder. へ Price and Quantity: The price is around $14 to $18 at Jolse. The quanity is 3o ml a good quantity on my opinion because is a foundation the relation between, quantity,quality and price is good for me. へ Texture and Coverage: For me the coverage goes to light to medium coverage. This is a creamy and lightweight texture, there is not a heavy feeling like many foundations this for me feel more like a BB Cream sincerely. 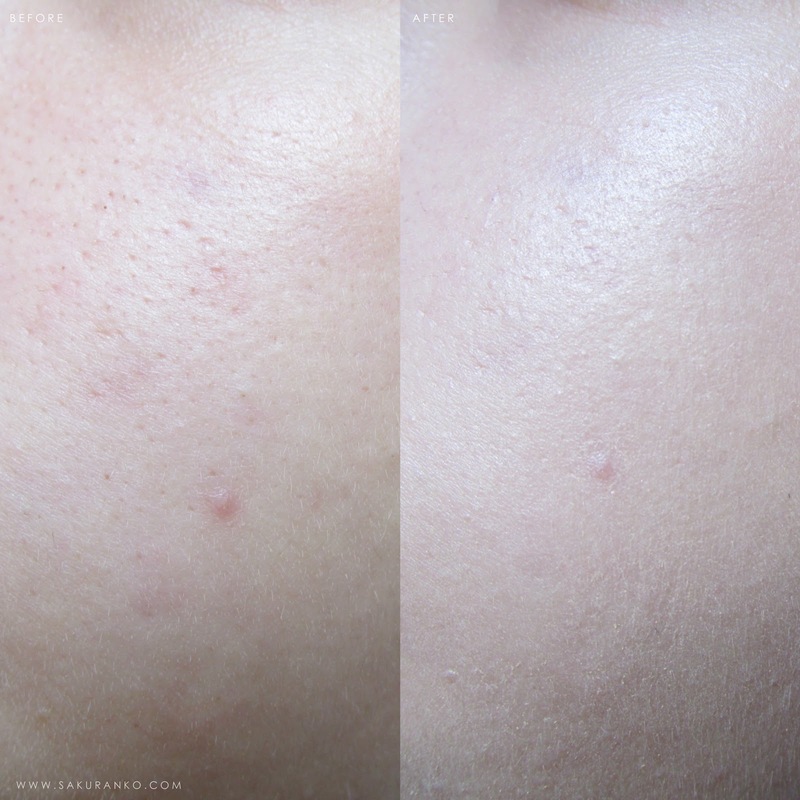 If you need a good coverages for conceal some acne scars probably this is not the right for you. The texture becomes with a silky powdery finish. If you are looking for a semi matte effect this can be good for you. - Not suitable for sensitive and oily skin. Well sincerely I was looking for a new foundation and I only focused in the color system because sometimes the shades are really fair. The is a natural shade the 1.5 Natural that should be in fact like a #23 but in fact is more like a #21 this looks and feels more like a light beige. And i started talking about the color because that was the principal reason because I picked this one. And because I had time using the Etude House Precious Mineral Beautifying Block Cream and I wanted use a new brand and of a change of a BB Cream. My opinion respect this is that the natural and healthy look, is great and both are very different between them. The quantity of ingredients in the formula of this foundation is really insane. First there a good quantity of oils in the formula so many preservatives of course, even when has a derivated of Hyaluronic Acid like the Sodium Hyaluronate and another good ingredient like Niacinamide. This contains good ingredients but are very low in the formula. So sincerely I can´t recommend this product If you have sensitive skin I don´t recommend this product for you. And happened that always the next day after use this product I found a little of redness so I guess is because there are so many not positive ingredients in the formula and the good ones are really low. By If you have normal or dry skin (but you are not sensitive) probably this is gonna work very nice. I must confess that I really like how looks my skin after use this product because looks luminous and healthy and that is by the way because has very white pigment about the UV filters. I guess like this has so many oils and so many stabilizers and surfactants that are not so safe for sensitive skin and like my skin is combination sensitive probably that is the reason. Like always I need be honest I could not buy nothing from this line. I was checking is like now this version was discontinued in the webstore so I don´t know. I could use another foundation from the Saem? Yeah probably in the future but right now I am not feeling like purchasing another foundation from this brand. Like I mentioned before I guess is great for normal or dry (but not sensitive) skin. The coverage is good, is a light to medium coverage all depends about how much quantity of product you use. This foundation provides a silky semi matte powdery look so you need so a little amoun of powder pact and that is really good. Of course i am going continue using this foundation but not daily I prfer alternate with cushion and with more light formulas. Probably one the best things is that the formula is super lightweight. So like you can see this product has very positive and negative points, but like my experience It was positive in overall I am going to give to this the SAEM Eco Soul Skin Wear Foundation four stars of five. Like I said before If you are looking a natural foundation effect with medium coverage and you have normal or dry but not sensitive skin this product is for you. it has a lot of ceramides and oils that can be amazing for your skin. I hope this post is can be useful to you! I am back in my third favorite month of the year. We already at October and I am not sure how i am going to publish all the bunch of reviews in which I am already working but I need continue my work and compromise with you my sweet readers. So today I am here with a new short post for start this month about jewelry and more specific about Urban Jewelry with GLD. 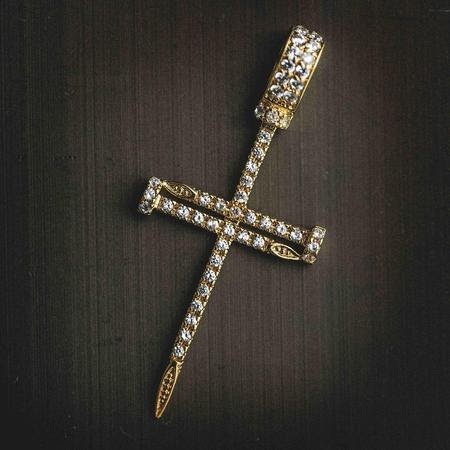 The GDL Shop specializes at a different style of jewelry but has very amazing pieces too, so today I am going to share some of my favorites pieces of jewelry from this webstore. 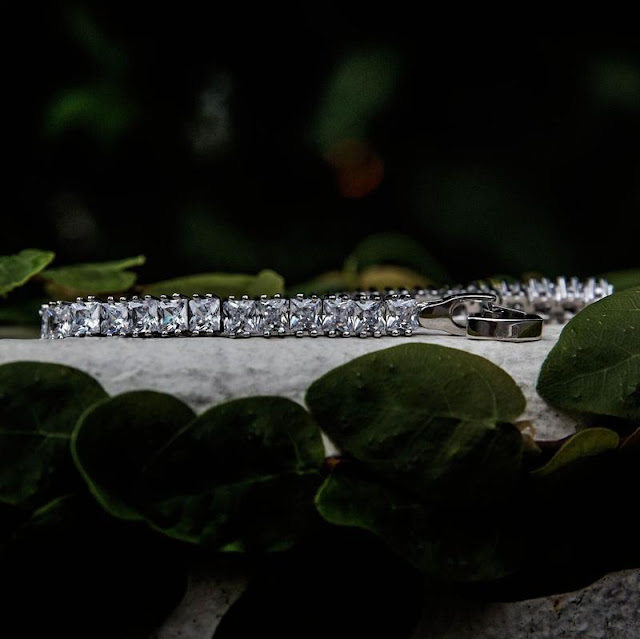 Even when is not my type of jewelry I fond this bracelet really pretty and like a good accsory. 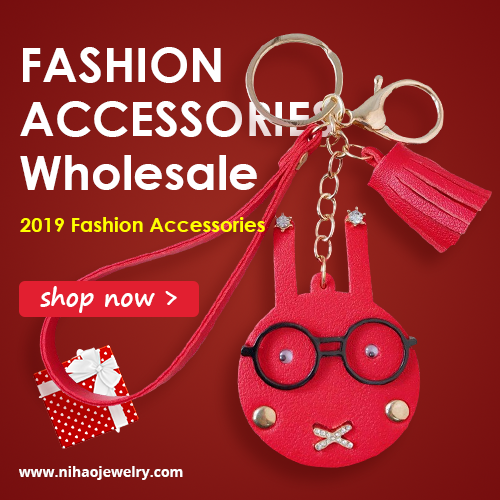 This webstore is more oriented to boys of city with big necklaces or with many golden bracelets but I guess even with that you can find cute pendants and necklaces and of course bracelets too If that is what you are looking for. 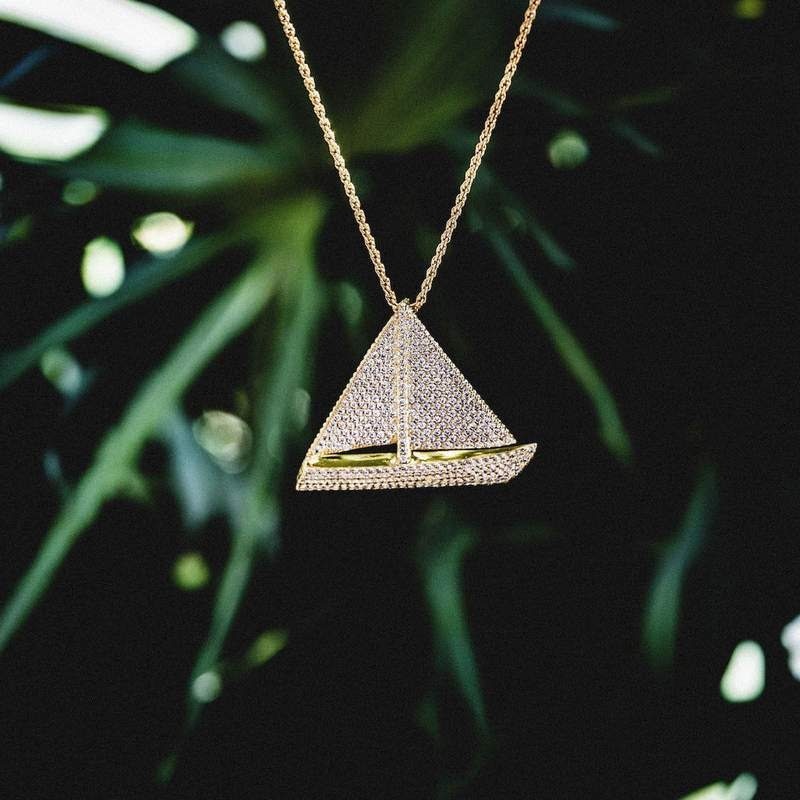 For my taste is better minimalist pieces and that is a little that I am sharing because believe when I say that this webstore has huge necklaces and bracelets with a lot of gold. This cute pendant of boat is so pretty I found this could be a lovely unisex gift reason because I shared this with you today and because is a cute pendant. This webstore is different and has a great variety of urban designs reason because I want invite you to visit this webstore. Like always I want to know If you already known this webstore or If this is new for you like is for me too. I want wish you a good day.